Please complete the form below and your enquiry will be sent directly to De Uijlenes Venue via email. Your enquiry has been sent to De Uijlenes Venue. 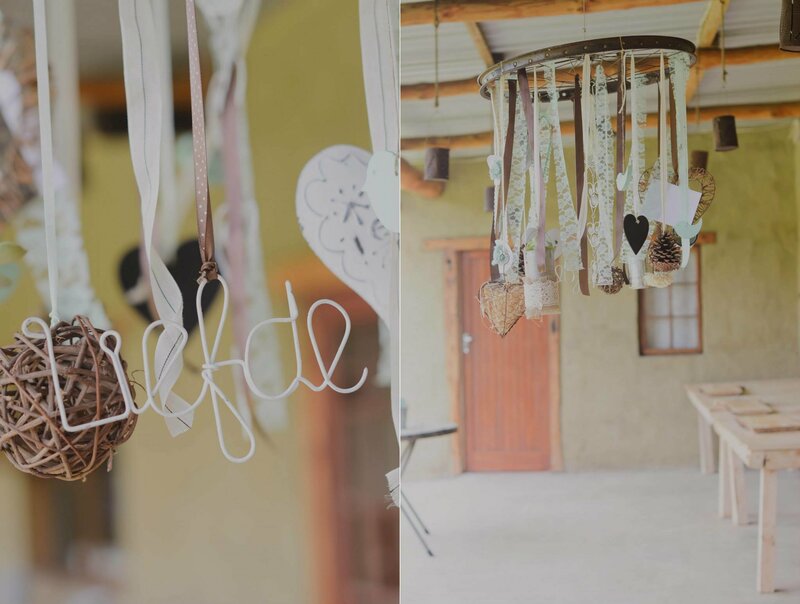 De Uijlenes wedding venue offers a beautiful farm setting and specialises in indie, boho, rustic and alternative, one-of-a-kind weddings. 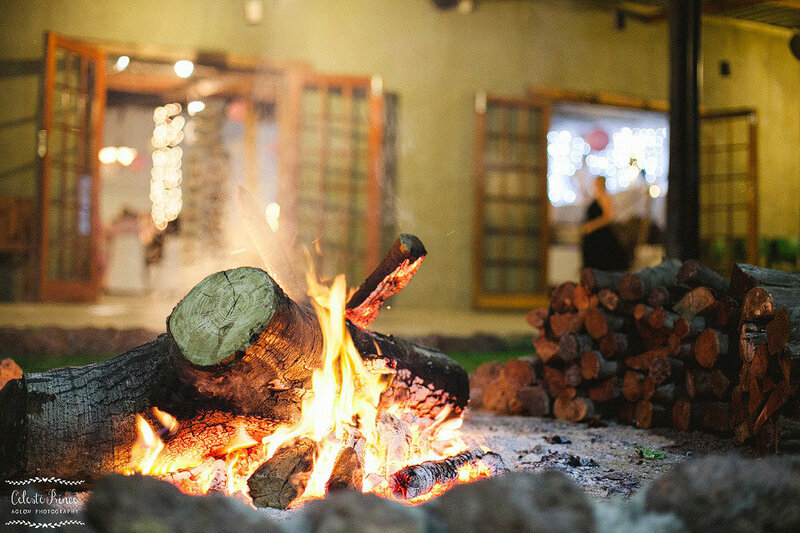 With two magical venues to choose between, a forest ceremony and old koffie klip farm barn reception or a deck on the dam ceremony and an intimate Canadian log cabin reception, and enough accommodation for all of your guests on the farm, De Uijlenes weddings are an experience like no other. 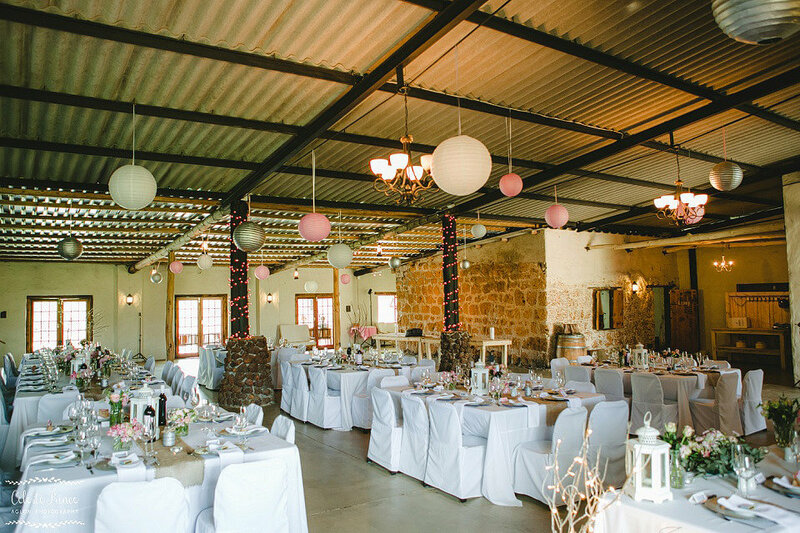 Click on ‘More Info’ below to find out more about the beautiful venue, accommodation and functions. 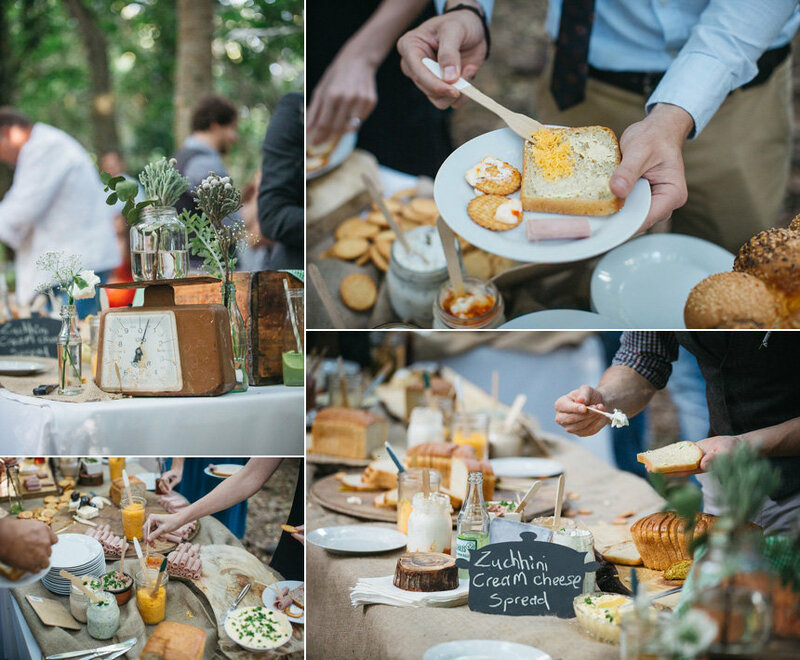 De Uijlenes weddings are one of a kind. 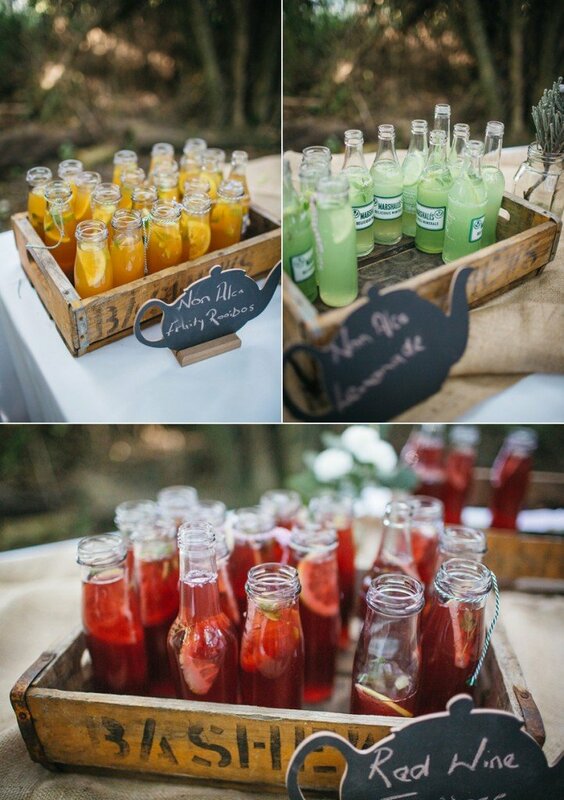 Offering a relaxed atmosphere and enchanting nature setting, the farm is perfect for any vintage, alternative, modern vintage, whimsical, rustic, woodland or farm feel celebration. 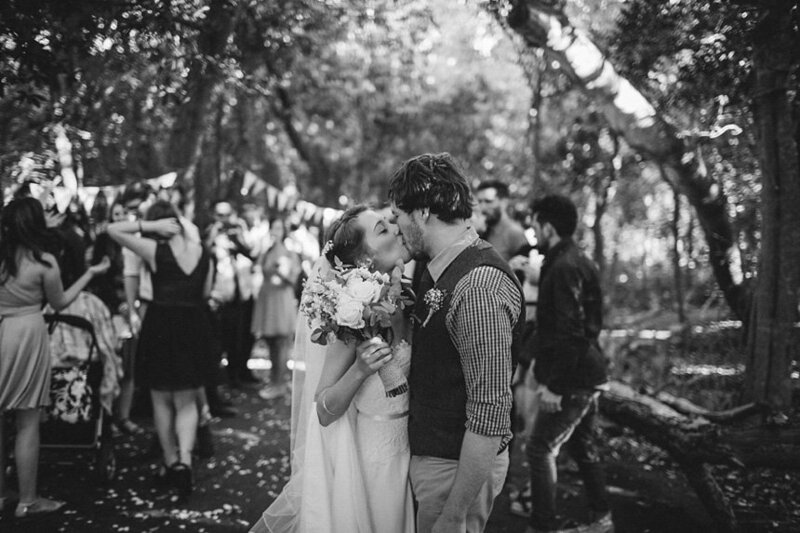 We welcome any wedding celebrations no matter your race, religion, or sexuality. De Uijlenes is here to be enjoyed by everyone! 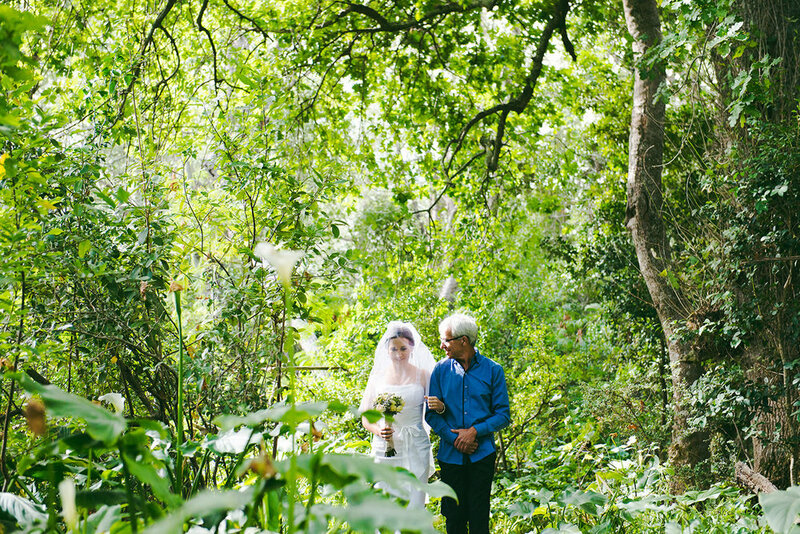 There are two settings to choose between, the “Forest and Old Barn” or the “Nightjar”, each offering a fairytale backdrop for your special day. 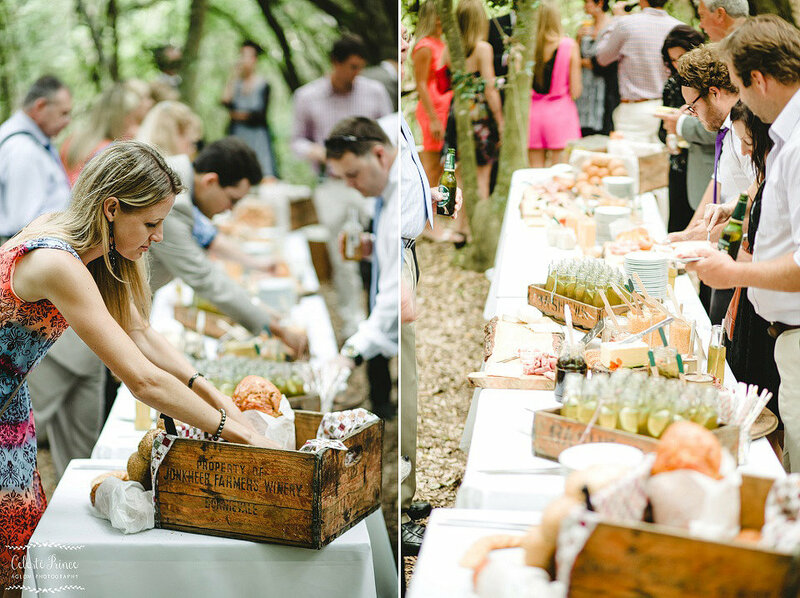 Woodland wedding awaits! 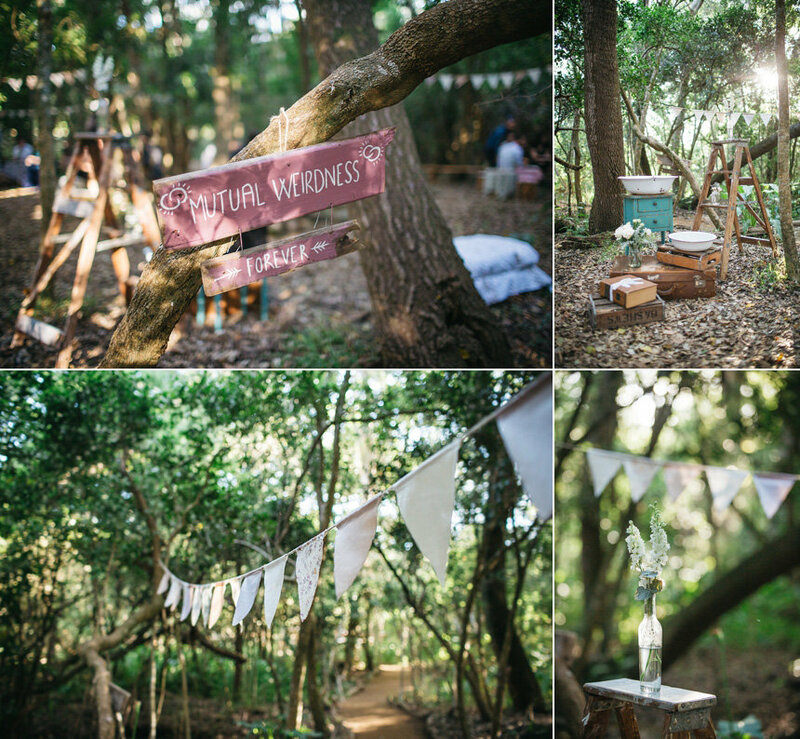 This is an enchanting secret forest ceremony spot that won’t fail to get your heart fluttering as you enter through the gates and meander along the forest aisle. 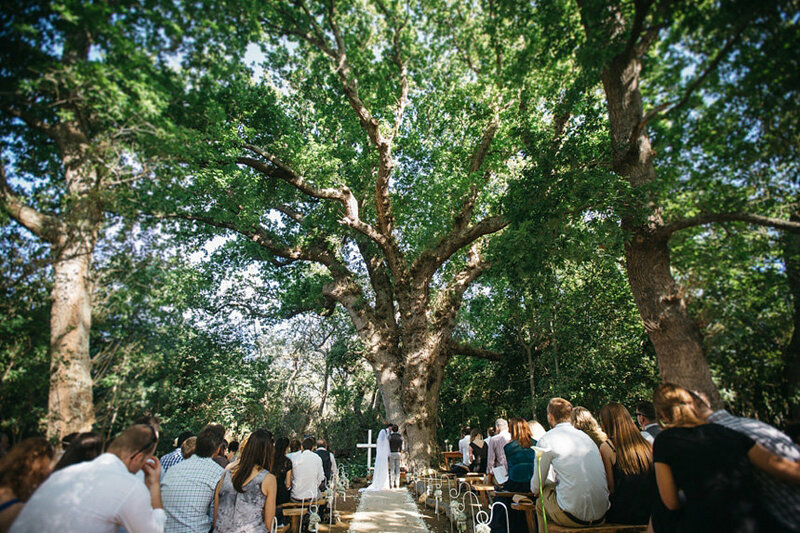 Exchange vows under the leaves of a giant oak in the depths of an indigenous forest and surrounded by a sea of white arum lilies. 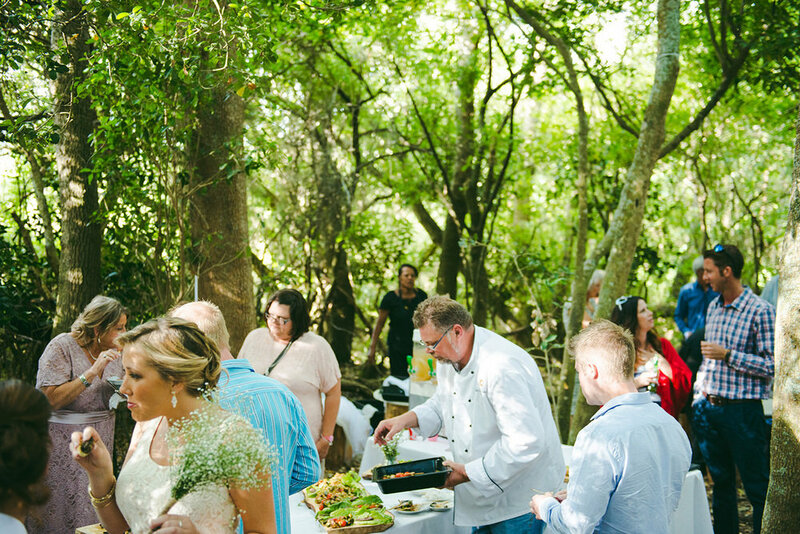 While you and your bridal party go off to have photos taken at any of the beautiful spots on the farm, your guests can chill in the shade of the forest picnic area. 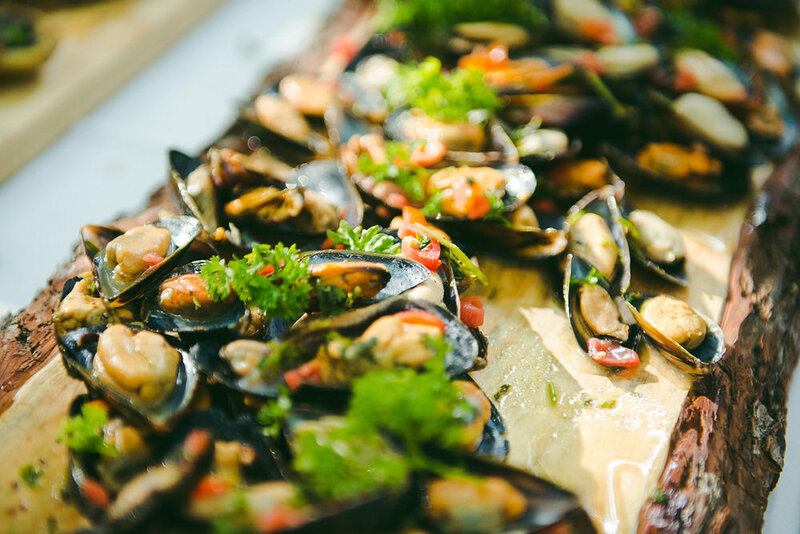 Here they can wet their whistle with some craft beer on tap, bubbles, punch or any other drinks, and tuck into some delicious canapes or a harvest table groaning under the weight of homemade and seasonal breads, meat, cheeses and more. 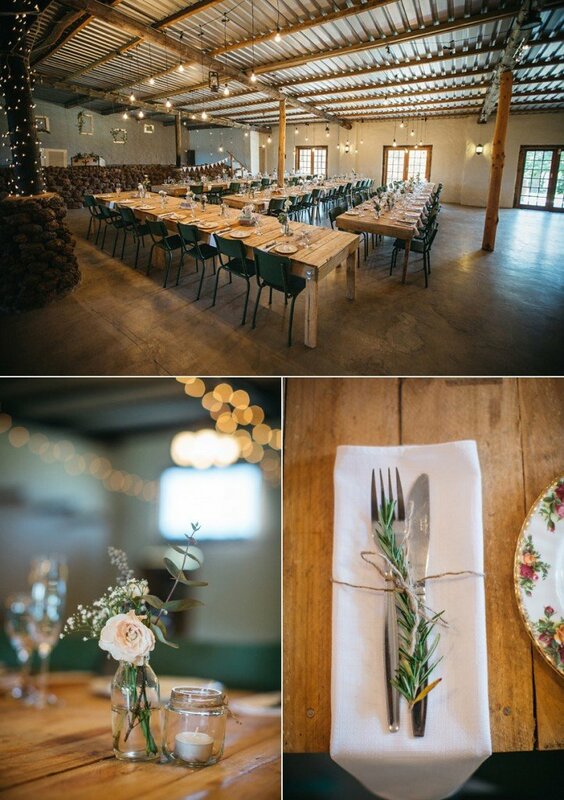 The wedding celebration then takes a truly epic twist as the party moves on to the Old Barn, a rustic 19th-century farm building that was formerly comprised of a dairy, implement sheds and pig styes, and has been lovingly converted into a unique event venue. The venue features several fireplaces, original features, cigar lounge and a large dining area, with rustic wooden tables and chairs. Party the night away in the comfort and rustic charm of the Old Barn, or make s’mores over the fire under the stars and listen to the owls hoot. With four large fireplaces (three indoors and one large fire pit outside) the Old Barn is a cosy haven, perfect for winter celebrations. 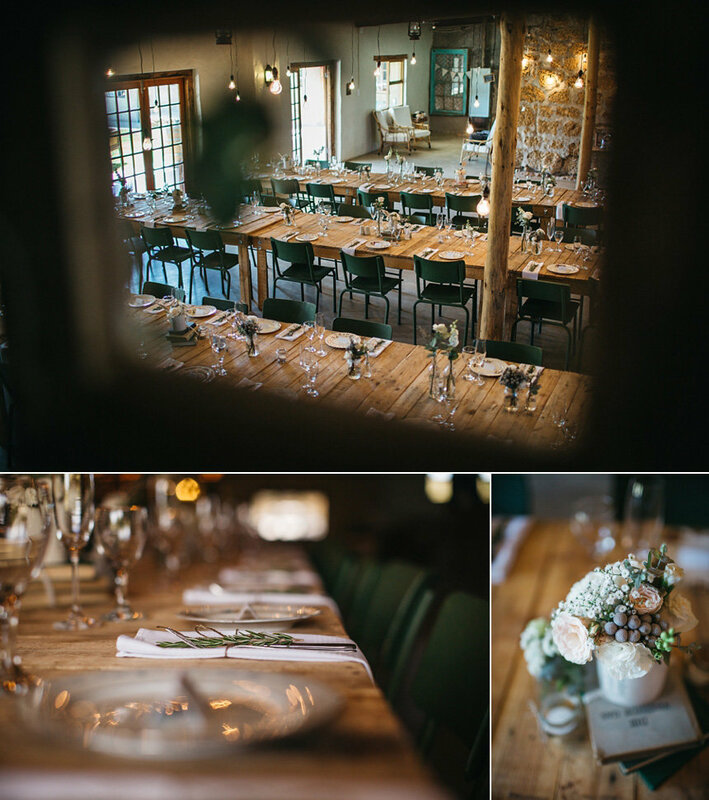 There is also a small dining room within the barn, the Melkkamer, in which you can have an intimate family rehearsal dinner on the Friday evening or a big farm breakfast on Sunday morning to refuel after a big night of celebrations. Guests can stay within staggering distance of the bar in one of twenty basic, but comfortable, rooms at the Old Barn which are able to sleep up to 75 people in total. 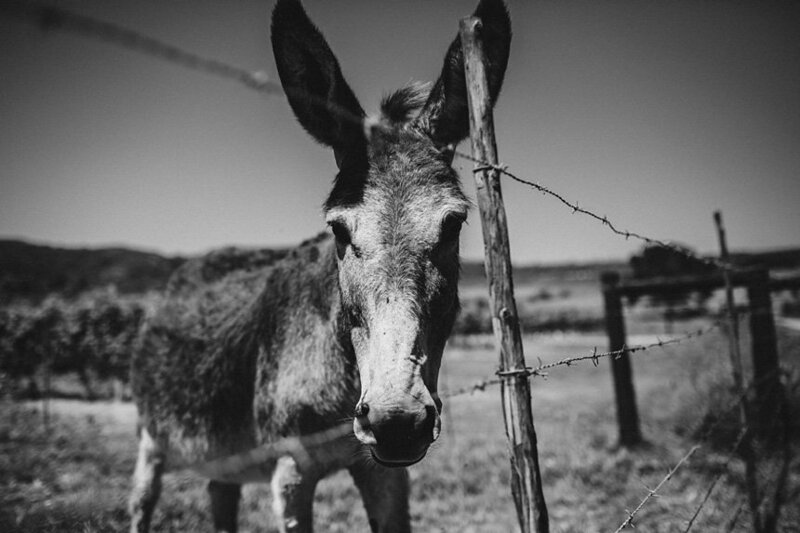 If you decide to say your ‘I do’s’ here at De Uijlenes wedding venue, we throw in a bunch of farm animals as part of the package.Your four-legged family are welcome too, as long as they are well behaved, happy to socialise with the other animals and kept under control. A parting gift, so you can remember your special day forever! Offering log cabin romance and rustic bliss, this one takes some beating. 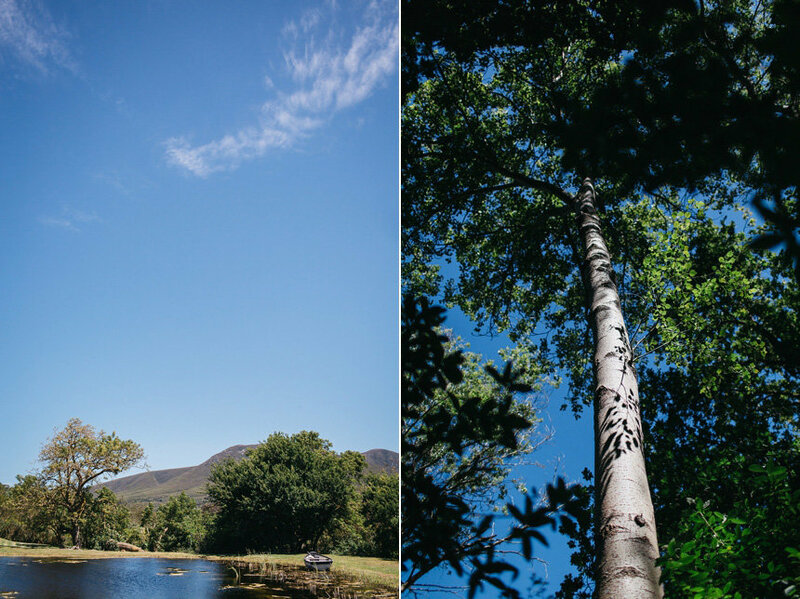 Natures beauty really does provide an awesome backdrop and gives a very natural and relaxed vibe to this venue option, well suited to smaller, more intimate, alternative weddings. The Nightjar venue achieves what it sets out to do, being totally different from the rest. 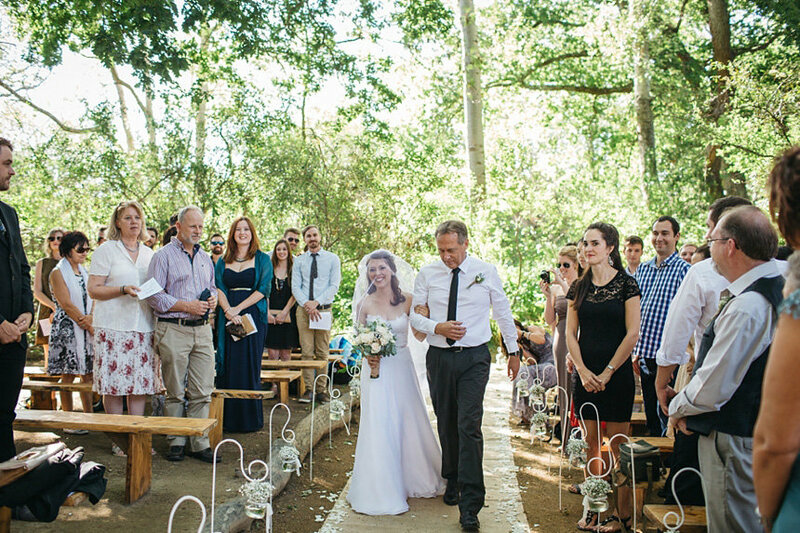 An open-air old koffieklip chapel, situated next to a waterfall and overlooking the dam and fynbos covered mountains, serves as the perfect place to say your ‘I do’s’. 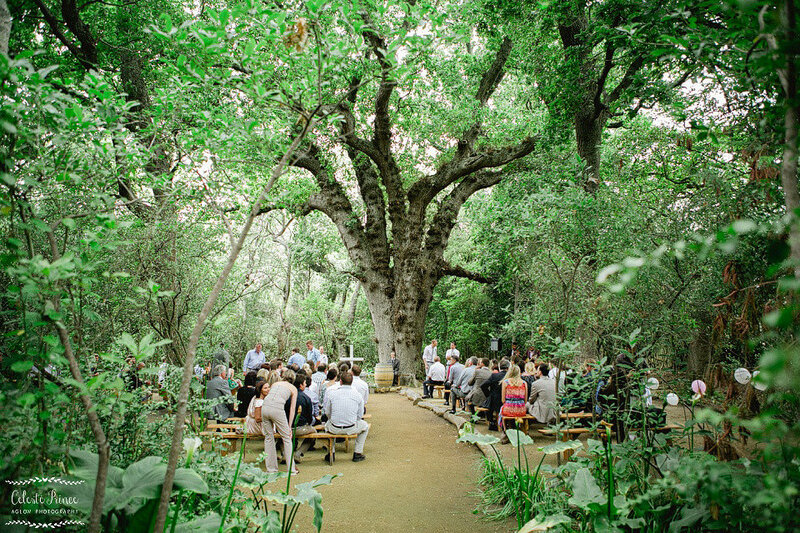 Beers and ciders will then be kept cold on ice in sink baths with a large harvest table groaning under the weight of fresh homemade breads, meats, cheeses and preserves, all served under the shade of a giant tree. 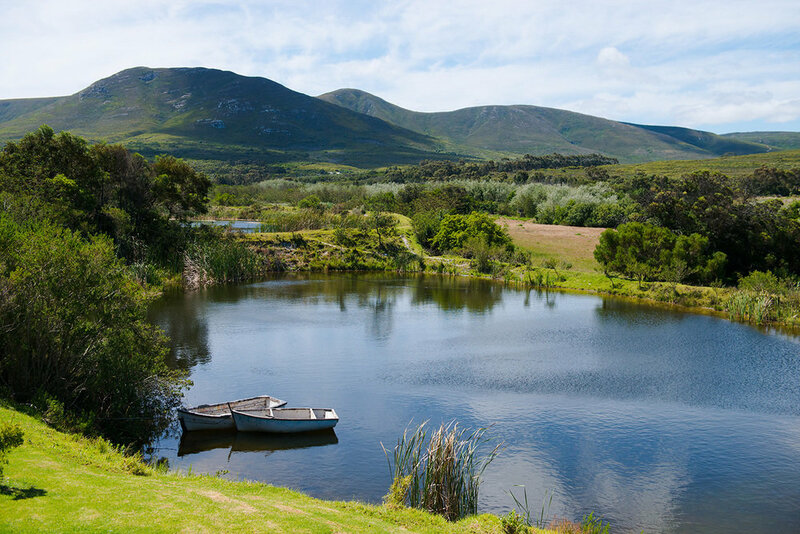 Guests can chill on lawn furniture or a picnic blanket, cool off in the dam, fish or play garden games as the sun sinks beneath the fynbos covered mountains. As the evening cools, the party will move into the log cabin reception venue. 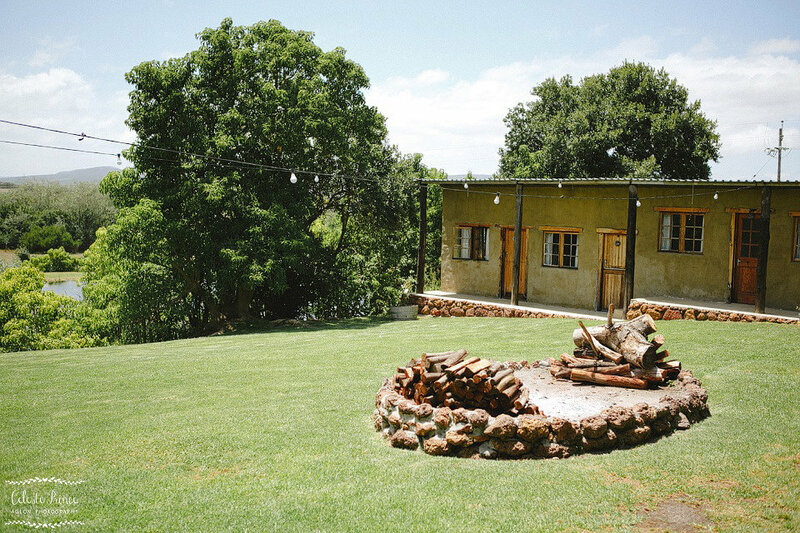 Built by hand from materials largely sourced from the farm or valley, and the smell of lumber still in the air – you and your guests will find your dancing feet and boogie until you feel the need to retire next to the fire overlooking the dam and talk until the sun comes up. 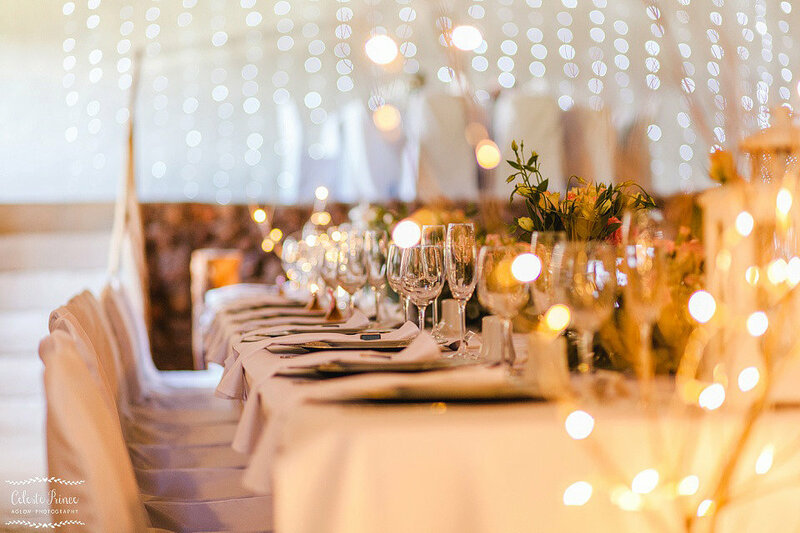 With a large roaring fire both inside and out, the Nightjar venue is perfectly cosy for a winter wedding. 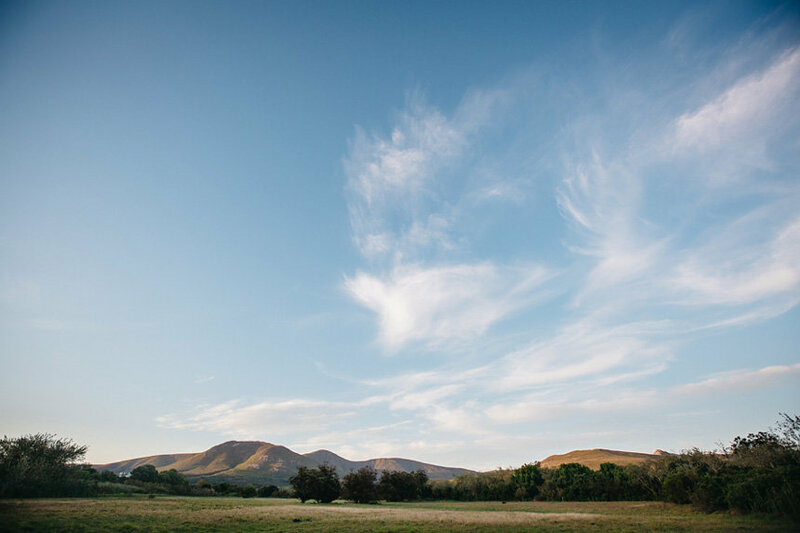 Offering stunning views and rustic charm, this venue gives you the freedom to create a truly bespoke wedding. Guests will be delighted by the farm animals that we throw in as part of the package. Your four-legged family are welcome too, as long as they are well behaved, happy to socialise with the other animals and kept under control. 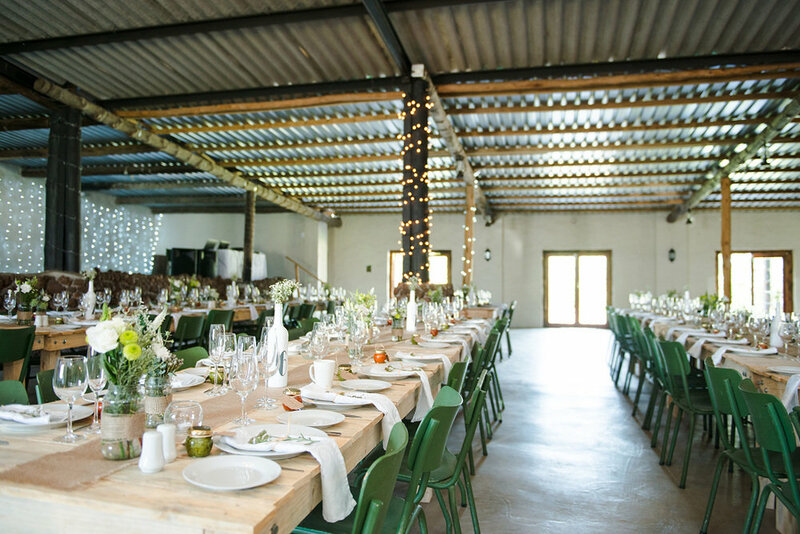 With two nights accommodation in the simple farmstead and stable rooms (sleeping 50) included, the Nightjar could be described as a laid-back festive wedding venue. The accommodation at De Uiljenes is broken up into three venues. It is open only to guests attending a wedding at De Uiljenes. 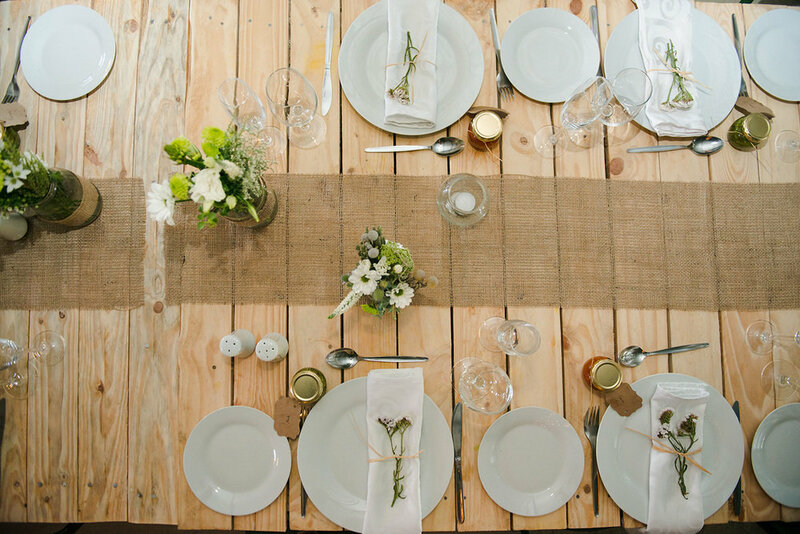 Guests attending a wedding at The Old Barn venue can be accommodated in rooms at that venue. There is enough room to sleep a maximum of 75 people. The rooms are rustic and are close enough to the festivities that the guests will be able to crawl into bed in the wee hours of the morning. There are 6 ensuite rooms that can each sleep 4 people. Each of the ensuite rooms has a small bathroom for those staying in the room. There are 8 basic rooms that sleep 4 people in each room. These rooms all share a large set of bathrooms. There are 6 dorm rooms which we have named 'the Res'. These all sleep 3 people in single beds with one room sleeping 5. The Nightjar is the original old thatched roof farmhouse oozing cute farm charm. With 7 rooms, 1 dorm and a loft, the Nightjar can sleep a maximum of 80 people. Several rooms and bathrooms have been built on as 'stable rooms' and there is also a large hall and self-catering kitchen for you to all hang and eat in. This house is also on its own private dam with a foofie slide and boats and there is a large braai area under the trees next to the dam. 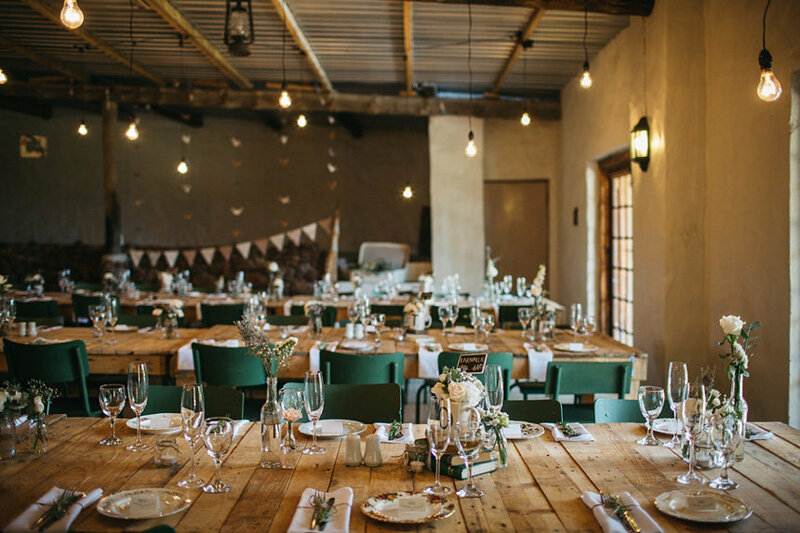 The Nonnetjie Uil House is a large guest house on the farm which sleeps a total of 60 people and can be reserved as additional accommodation for either a wedding at the Old Barn or Nightjar venue. 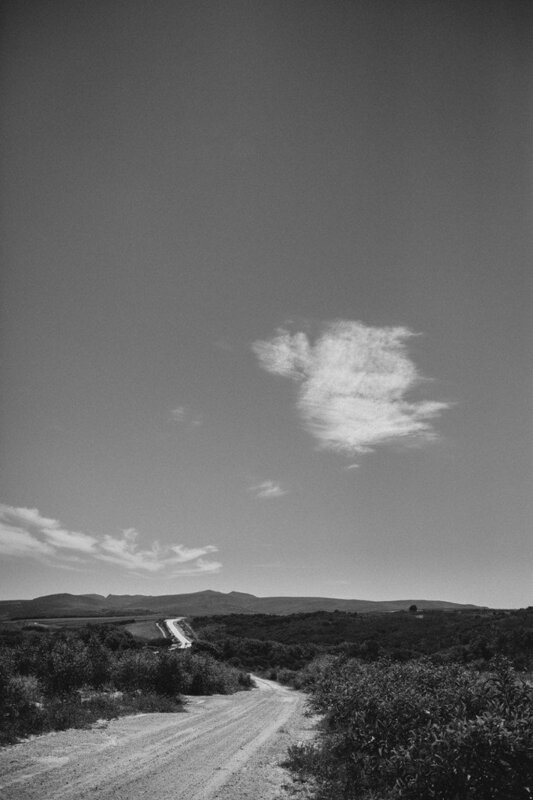 The house is self-catering and has a large open-plan kitchen/dining area, with an indoor braai that leads out onto the stoep and an outdoor braai area overlooking a private dam, with boats and a foofie slide. There are also 4 bedrooms and 2 big dorms. 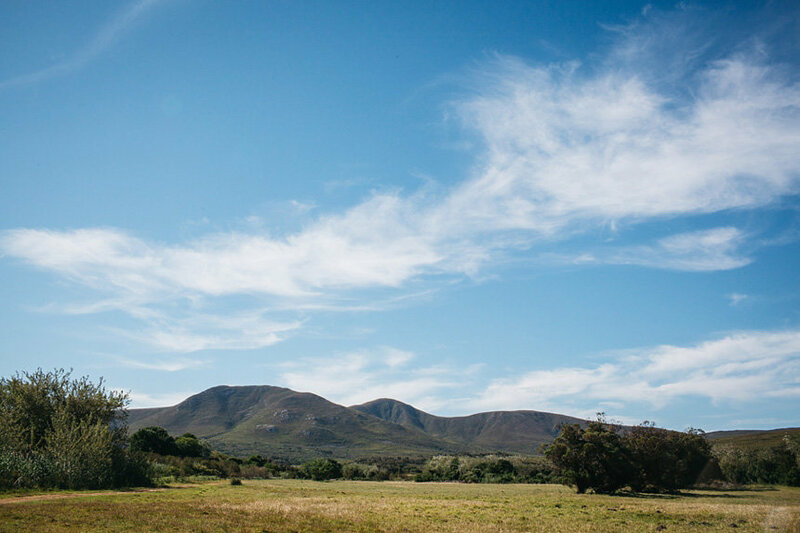 When booking the Nonnetjie Uil House, you get full exclusivity of the house, dam and surrounding lawn. Two-night minimum when booking. If you have any questions or queries regarding any of the accommodation, please don't hesitate to contact us. The Two New Wedding Co-ordinators!